The Road Ranger Blog: Other Photos. 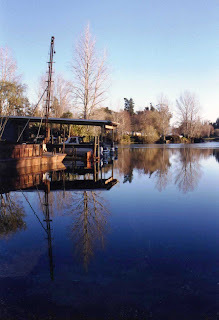 Just to show that my photos are not all cars and motorbikes, here are a few of other subjects. North of Wellington on State Highway 1 is the city of Porirua and it's surrounding suburbs. 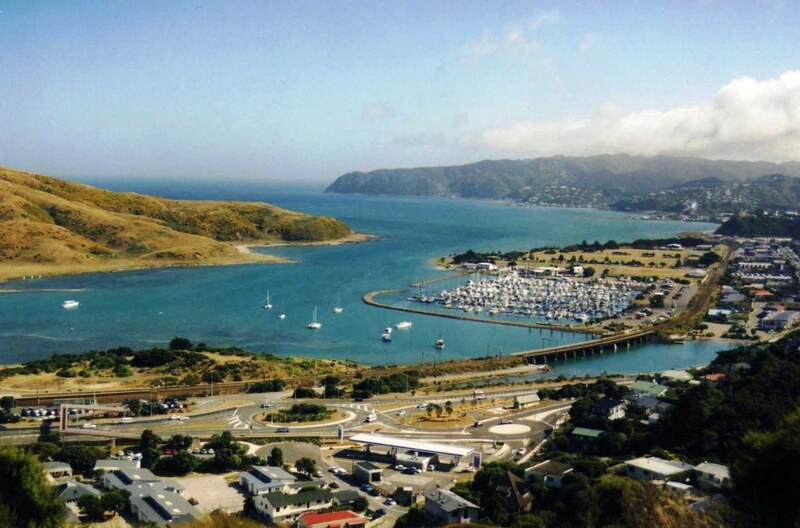 The view looking approximately NW, shows the entrance to Porirua Harbour, the Mana Marina, the Paremata Rail Bridge and the Paremata Roundabout on SH1. This photo is taken on a weekend. On a weekday there would probably be many trucks passing through this roundabout, heading both North and South. SH1 passes from left to right through the roundabout and crosses the Paremata Bridge parallel to the rail bridge, but is just hidden by the hills in the lower right of this shot. The long white roof in the foreground is the busy Mobil Service Station. 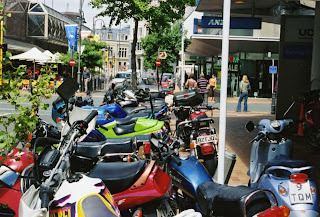 Many Wellington workers commute to work by motorcycle. 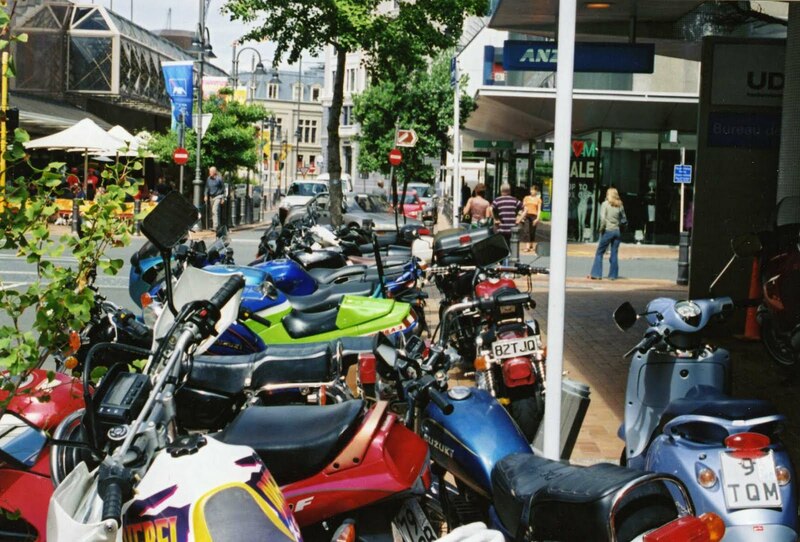 This is a motorcycle park in the central city. 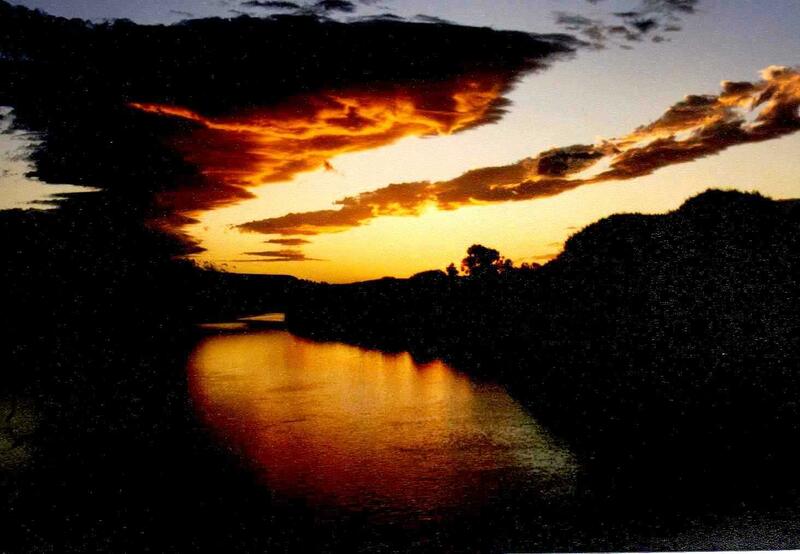 Sunset from the Gladstone Bridge SE of Masterton. 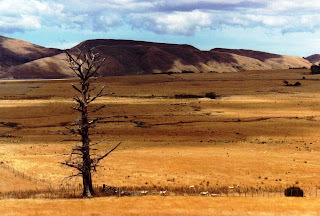 Somewhere in the general Taupo area of the central North Island. 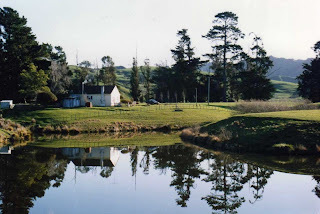 This photo I took some years ago and cannot remember the exact location. A catamaran sits on Castlepoint Beach. 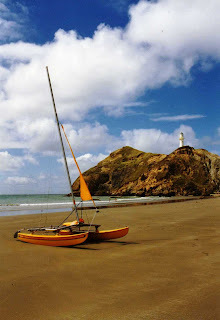 Castlepoint is about 45 minutes drive from my hometown. It is an ideal beach for photography, because of it's variety of features. 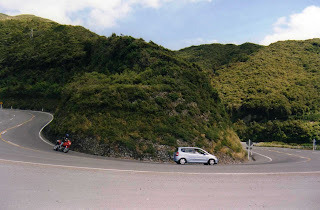 Muldoon's Corner on the Rimutaka Hill road. 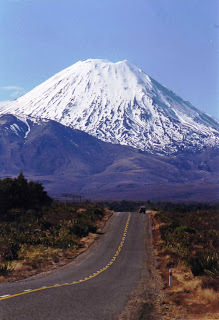 This give some idea of the twisting hilly road. 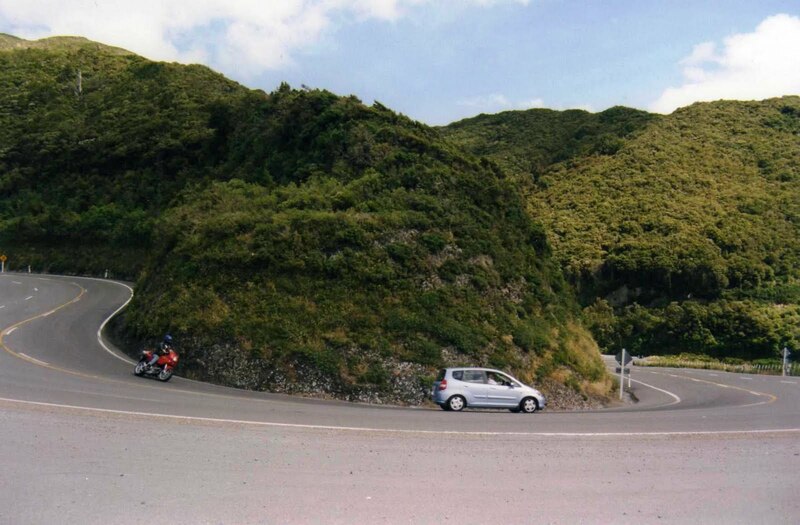 Motorcyclists enjoy "playing" here on weekends. Unfortunately some get carried away with the adrenalin rush and get seriously injured. 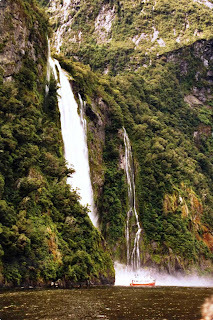 This is one of the many waterfalls in Milford Sound near the Southern West coast of the South Island. Milford Sound is in fact a fjord. The boat at the base of the falls is the M.V. Milford Haven, one of the tourist boats which takes trips out to the open sea and return. 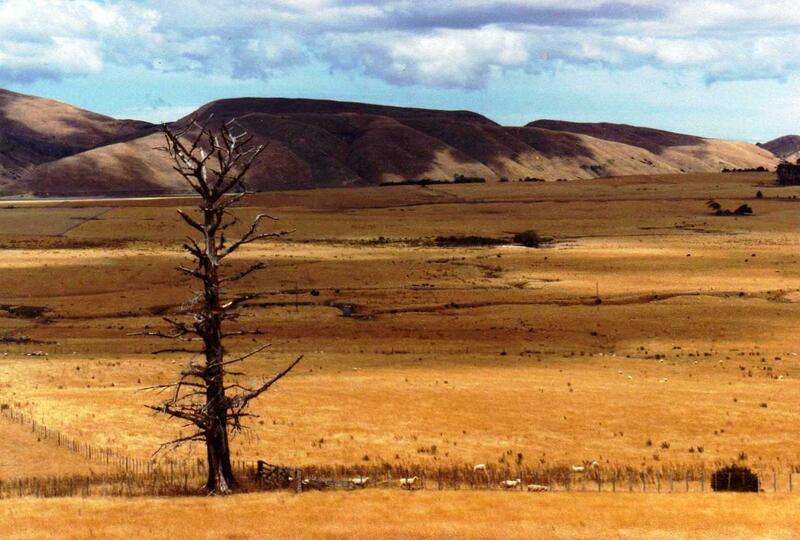 This shot taken near Martinborough shows just how dry this area can get during summer. Te Mata Peak near Havelock North is an amazing lookout over the Hawkes Bay area. 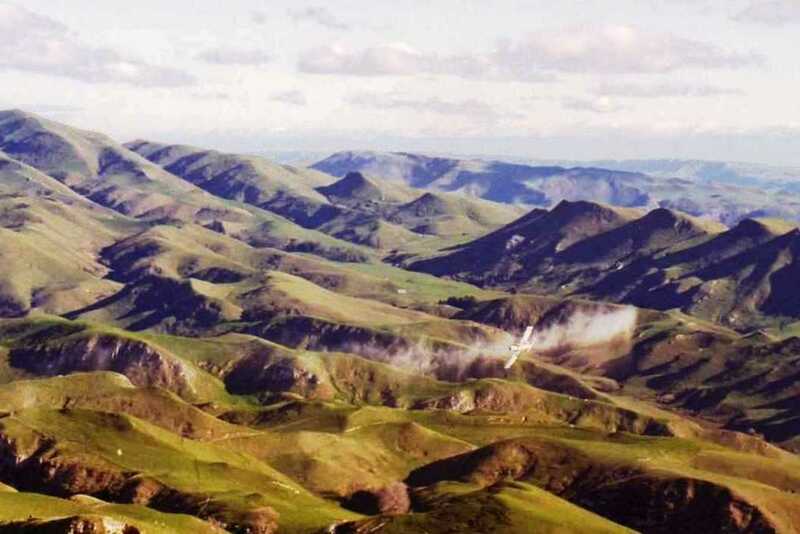 In this photo an agricultural aircraft is spreading it's load below me. A little cottage on a farm at Whareama, next-door to where my sister and brother-in-law used to farm. Travelling State Highway 1 in the central North Island the road takes you up the Eastern side of Lake Taupo with some fine views of the lake. Alternatively one can travel up the western lake road. Although the views of the lake are not so good; shots like this make it a worthwhile change from the main route. 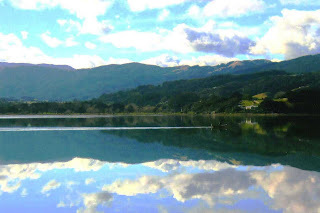 A lone man in a small boat cruises across the Pauahatanui Inlet; the upper reaches of Porirua Harbour. The Trucks I Have Driven.